You are most welcome to join us at any of our public engagements listed below. A lovely, friendly concert in this small church on the Harrogate side of Leeds. It's comfortable, the people are really nice and there's a balcony if you like looking down on the players to see what they're up to. Book yourself in and they'll talk you in to a wonderful pie and pea supper in the church hall afterwards. You'll love it. It's a fine Yorkshire tradition. 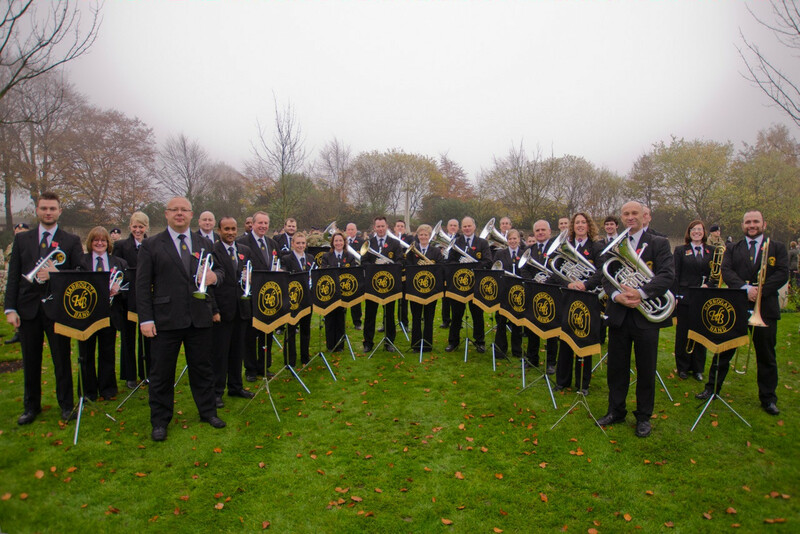 We'll be playing a range of entertaining brass band music including marches, hymn tunes, overtures, jazz, big band and a few solos featuring different players in the Band. The money raised will support the ministry of the church. Durham Miners' Gala - Trimdon Grange and Durham City. 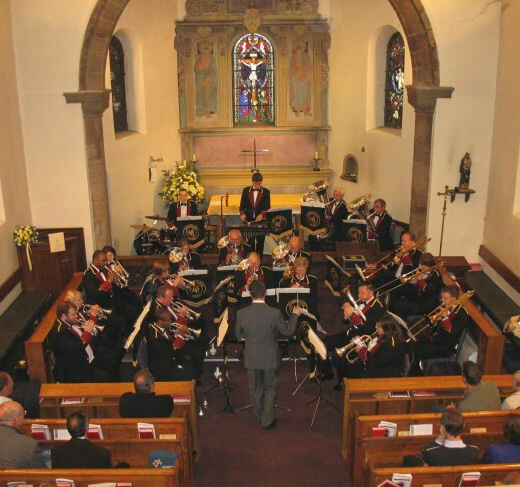 Join us in Bramhope for a fantastic evening of pure Brass Band entertainment hosted by The Royal British Legion. Now in our 5th year at North Leeds come along to watch the band in this fantastic club and help raise money for the Royal British Legion in Leeds. You'll hear a fantastic selection of brass music from military marches, hymn tunes and big band through to contemporary original music for band and beautiful arrangements of popular classics. There are comfortable seats, tables and a very fine bar. 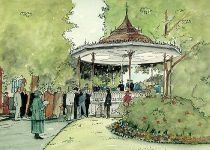 Come along for free to Wetherby Bandstand to watch us entertain the crowd. 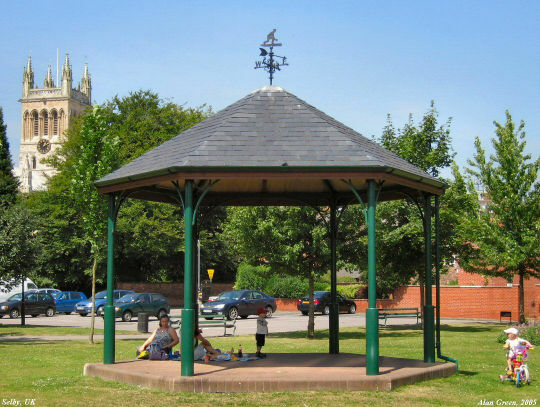 Parking is right next to the bandstand and is free. Bring a deckchair, a newspaper, and money for ice-cream. We will be taking part in two acts of Remembrance. Harrogate Cenotaph: 10:15am - We will be marching with the Tewit Youth Band in the parade and playing music at the cenotaph for the civic act of Remembrance. Stonefall Cemetery: 12:15pm - We will be taking part in the ceremony hosted by the Rotary Club at the Commonwealth War Graves Cemetery which has 1010 servicemen who were mainly airmen. It's a very calm, reflective and peaceful place. Looking at the row upon row of graves makes you think and reflect on the sacrifice people made for peace in Europe, especially those who weren't even from these isles. For further information, to join the Band's mailing list or to discuss the Band's availability and services, please contact the Events and Concert Manager.